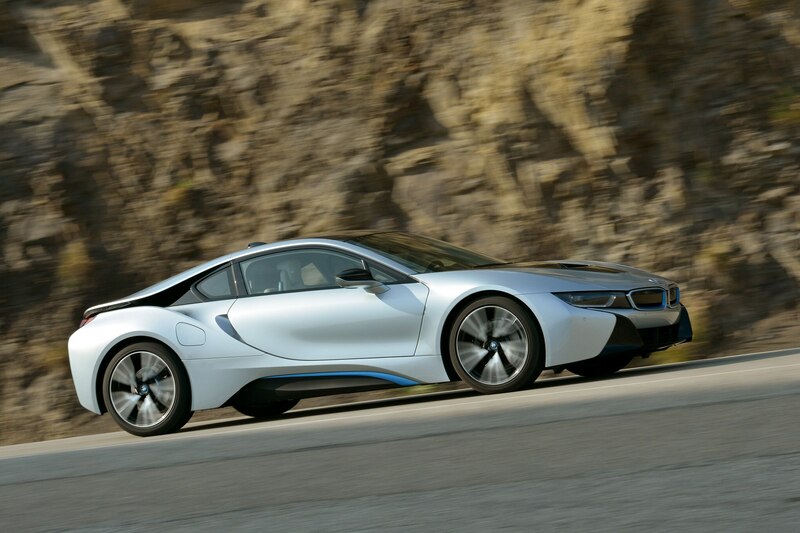 In 2016, BMW turns 100. There will be plenty to celebrate in that centenary year, including the first fuel-cell-powered BMW (based on the 5 Series GT) as well as the first model co-developed with Toyota, namely the Z4 replacement. 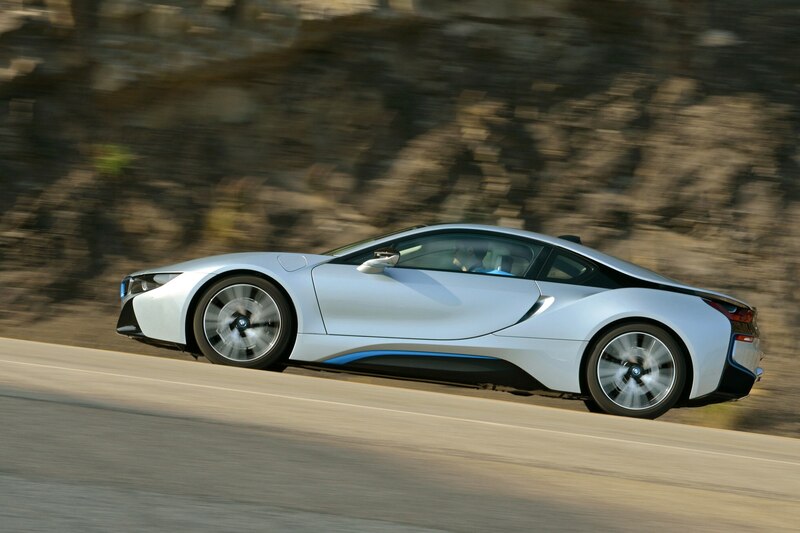 With the passing of that milestone, BMW will launch a new green supercar — aptly codenamed M100. 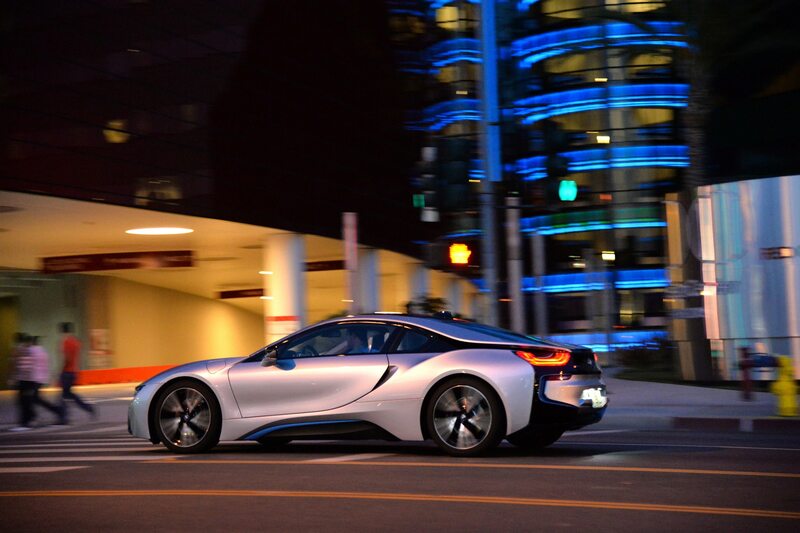 Almost certain be badged i8S, the new supercar is not merely an engineering showpiece but a proper production model. The effort is being spearheaded by Project i team leader Ulrich Kranz, under new program director Roberto Fedeli, who recently moved over from Ferrari. Although it is loosely based on the BMW i8, the flagship coupe features so many bespoke parts that it could almost be described as a new car. The life module and the drive module — the carbon fiber upper and the aluminum-intensive chassis — will be retained, but the individual elements are more comprehensively integrated, the material mix is even more diverse, and the revised packaging eliminates the token rear seats in favor of a bigger luggage bay, sources say. 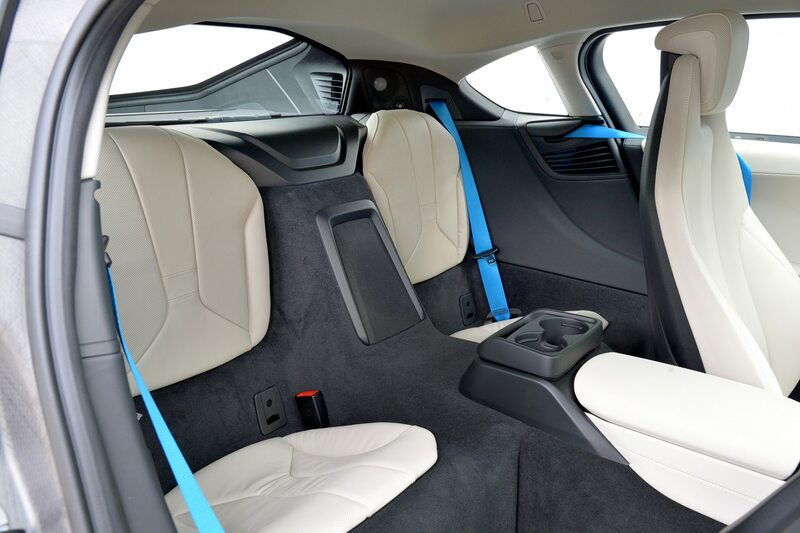 Since BMW has learned a lot about carbon fiber with the i3 and i8, the company will clearly try to further improve critical aspects such as torsional and bending rigidity, crash performance, and durability. Also on the to-do list is a firmer, reworked suspension along with stronger brakes and wider tires. Even though the new car bears a certain resemblance to the i8, we expect that it will sport an even more dynamic look as well as more aggressive aerodynamic aids. Whereas today’s BMW i8 marries its turbo three-cylinder’s 228 hp and 236 lb-ft of torque with 129 hp and 184 lb-ft from its electric motor, the new flagship’s gas-electric powertrain reportedly will boast a combined output in excess of 500 hp, with torque of around 500 lb-ft. Why can’t we be more specific? Because right now, the new mid-engine plug-in supercar is still being evaluated in two different configurations. One features a twin-turbo 2.0-liter four rated at approximately 320 hp; the other one boasts a 3.0-liter straight-six good for close to 480 hp. 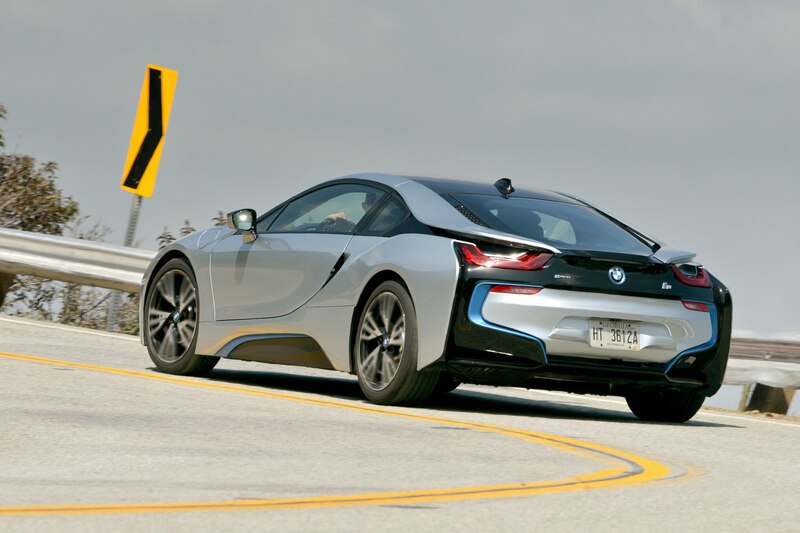 While the gasoline engine drives the rear wheels just as in the BMW i8, the electric motor propels the front wheels. Its power output is 109 hp when mated to the six and 204 hp when supporting the four. Common to both versions is a rear-mounted integrated starter generator, which develops 27 hp. A dual-clutch transmission parses the torque into nine slices. 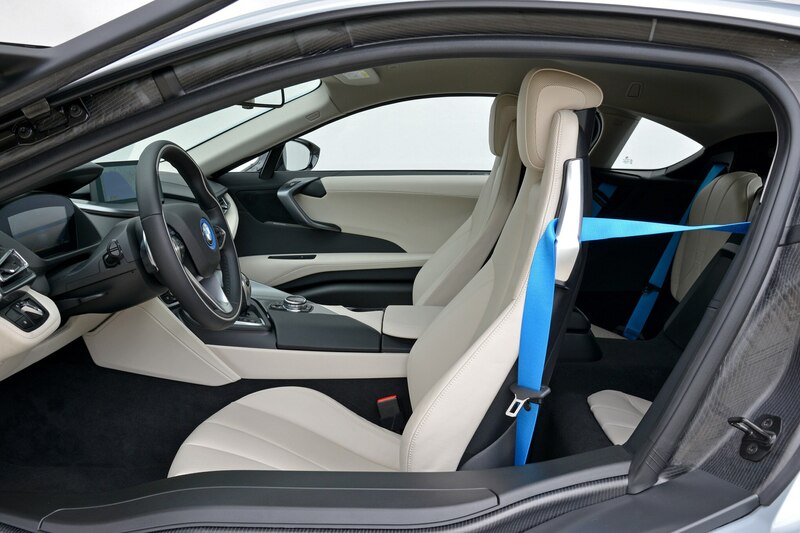 Although the curb weight of the S model is bound to exceed the 3,455 pounds recorded for the i8, the extra 150-plus horses should nonetheless provide a clear performance advantage. The top speed may again be limited to 155 mph, but the 0-62 mph acceleration is said to improve from 4.1 to 3.5 seconds. Since strong demand suggests that BMW could have charged more for the base i8 (pictured here) than $136,625 with destination, the i8S will likely carry a 30 percent premium over its sibling. Look for it to reach showrooms in late 2017.